Round 2 is behind us, and there is plenty to discuss as the season starts to take shape. Here are my NRL talking points from another cracking weekend of action. The Dragons and Raiders have both made indifferent starts to the new season, and while positive signs are there for both sides, they need things to click in a hurry, with this likely to be another incredibly close season where the top eight is decided one or two results. As a Dragons fan, I’ll tell you first-hand premierships aren’t won in March, April or May, but it sure helps to be in form and at the right end of the table. The Dragons have started their season with some positive signs. Both games have kicked off pretty well, with the club matching it up nicely against the Cowboys and Rabbitohs. However, their second halves have been poor. In Round 1, they were ruined by Jason Tuamalolo and Michael Morgan. In Round 2, they were stomped on by the Souths pack and Adam Reynolds. There are major issues with the Dragons defence late in games, although there are excuses this weekend (five-day turnaround on travel back from Townsville), but it’s their spine which needs sorting out. 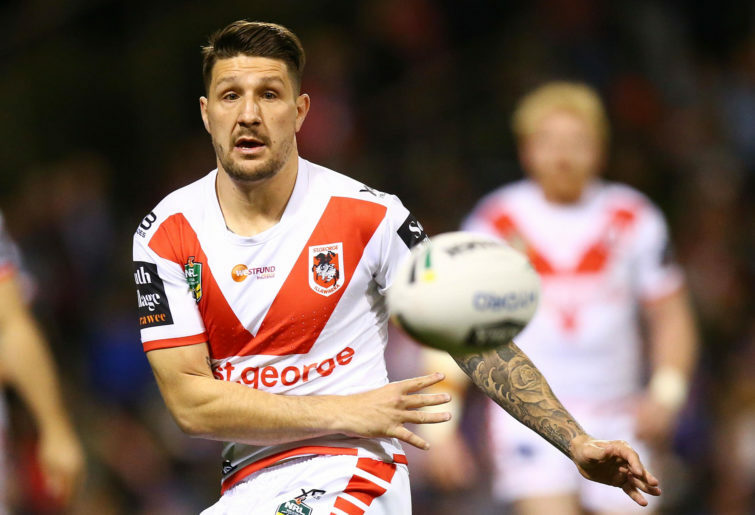 It’s still too early to make a judgement on Gareth Widdop at the back, but the signs there are mixed, as they are across the rest of the spine – which includes Matt Dufty’s inclusion on the bench. The Raiders, on the other hand, beat up on the Titans in Round 1. The 21-0 victory was a good one, but had to be taken with a grain of salt, given the Titans unpredictability and injury issues. Still, Canberra could only play what was in front of them and did a pretty good job of that. Despite the scoreline against the Storm this weekend, as well as the fact the game appeared over in the first half, they didn’t play all that poorly. Sure, their defence on the edge was lacking, but it’ll get better as new combinations begin to gel, while Charnze Nicoll-Klokstad has also been solid at both ends of the park. The second half against Melbourne probably told us more about where the Raiders were at, with only some issues in execution costing them a genuine chance of getting back into the contest. They probably need more from their forwards, but both the Dragons and Raiders are there and abouts early on. 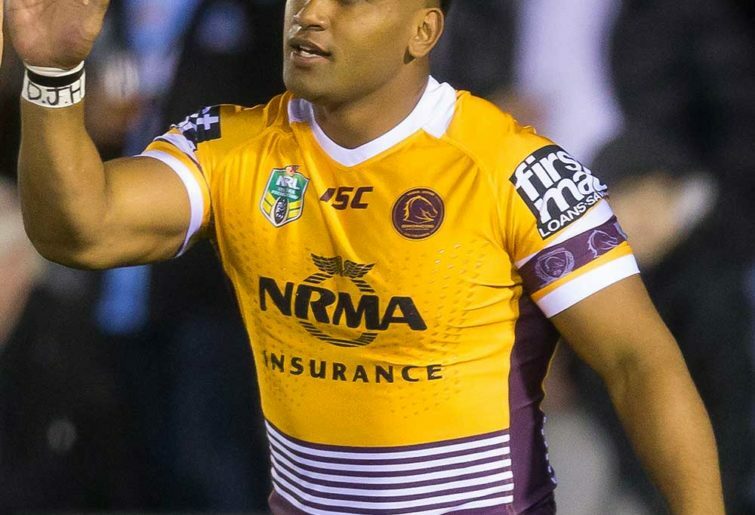 Tevita Pangai Junior probably wasn’t all that far away from the New South Wales Blues set-up in 2018, but after a strong finish to the season, and an equally strong start to the new one, he must be now in the best 17 for Brad Fittler. There are going to be some changes in the forwards, most notably the likely need to replace Jack de Belin, while other forwards have question marks, and Pangai Junior is making those questions marks bigger and bigger with each passing week. While he came off the bench in Round 1 due to a lack of match fitness, he was strong against Melbourne, then bullied the Cowboys this weekend. There is almost no chance we will see him start on the bench again anytime soon, and if he keeps up his prolific work rate and danger with the ball at the line, then he will start to stamp his authority as one of the best forwards in the competition. And while Pangai Junior led the way for Brisbane, it was a complete effort from the forward pack, and it needs to be week in and week out if they are to continue winning games of footy. Their spine is simply not up with the best in the competition, so they must dominate possession and territory as they did on Friday to have a chance against the top teams. That’s not to say their spine is poor, but it doesn’t have the consistency to bail the team out, should they get belted up the middle, given there is no real organising presence. Speaking of big-name forwards in the Queensland derby, and wasn’t the injury to Jason Taumalolo a noticeable one? The difference between him being on and off the field is enormous for the Cowboys. It impacts Michael Morgan, it impacts there outside backs, and the general speed at which they play. Well, well, well, my pre-season prediction about Parramatta is looking shaky. While they only beat up on the horrendous Bulldogs today, there are two big differences in their side which just weren’t accounted for properly in the pre-season by a vast majority of pundits. The first was shipping off high-profile players and getting a defensive attitude adjustment at the club. The other was bringing in Blake Ferguson. It’s rare a winger can have such a dramatic influence on a team’s performance, but his ability to get sets off to good starts, finish consistently and work with his ever-improving defence is a testament to his quality. 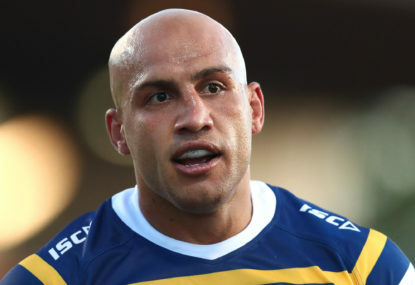 Ferguson had his second great game in two attempts for the Eels against the Bulldogs, running for nearly 300 metres, making ten line breaks and scoring a couple of tries. They are stunning numbers by any account of the situation, and his influence is easy to see, with sets regularly getting off to good starts for the blue and gold on the back of the big winger. The Eels are two and two to start the season, and while things will get tougher than an underperforming Panthers and the Bulldogs, the signs are positive, however, judgement should be reserved until after Round 4, with the Roosters and Sharks next up. Was last week a false start for the Warriors? One of the reasons I refused to talk up the chances of the Warriors last week in this column was they had beaten the Bulldogs at home, rather than a good club, or anyone away from home. Over the years, we have seen the Auckland-based outfit struggle on the road, and while it’s early days in the new season, their loss to the Tigers indicates the same thing might happen this time around. Of course, their attack was crisp against the Bulldogs, and young half Adam Keirghan looked like a world beater, but at this point in time, he is no Shaun Johnson, and their forward pack seems to be down a tick on where it was last year. It’s not a disastrous situation yet, but the Warriors are a team who play on their momentum, so too many losses where they play poorly for 80 minutes and lose their attacking structure could be disastrous moving forward. What is already clear, particularly with less experience on the park, is that the Warriors must look after their home ground on each and every opportunity. The Bulldogs were, let’s be honest, not great against the Eels. Unfortunately for them, that’s two in a row to launch the new season after being hammered by the Warriors last week. 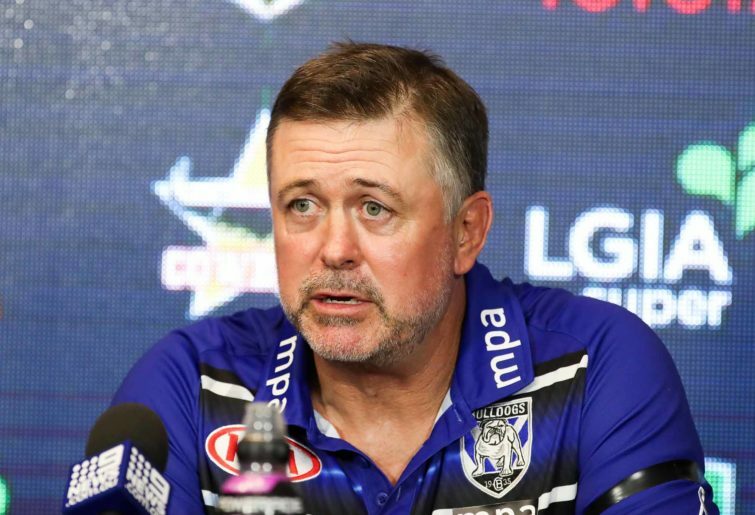 While expectations were never on the Bulldogs to make the top eight this season, they were supposed to be in a position to move forward from their embarrassing 2018. With a lot of young talent at the club, they needed to start 2019 with a couple of confidence-boosting performances. Instead though, they have virtually been at the opposite end of the spectrum, with defensive efforts looking sloppy, and their attack not gelling at all. Again, there were moves in the off-season, and so things could take a while to click, but for a club supposed to be on an upward trend with an ideal of qualifying for the finals in 2020, they look a long way off the money for the time being. Questions have to also be asked of Dean Pay. Why Rhyse Martin is playing (very well, it must be added), in reserve grade, is anyone’s guess. The forwards haven’t been setting the world on fire, and Martin was one of their best last year. The attacking structure doesn’t quite seem to suit Lachlan Lewis at the moment either, while Nick Meaney watching on from the sidelines while Will Hopoate and co play in an uncertain back line also doesn’t make much sense. Melbourne and the Roosters played out the 2018 grand final, and it would hardly surprise to see them back on the biggest stage this season. While I fully expect teams like the strong-starting Rabbitohs to lay the pressure on them, the Storm certainly are back somewhere near their best to kick things off in 2019. They don’t appear to be at full fitness quite yet, with performances tailing off in the second half against both the Broncos and Raiders, but the way they have started both of their games to date suggest there are few teams who are going to be able to keep up with them when the whips are cracking later in the campaign. There were plenty of questions around the Storm this year, and rightly so, but Jahrome Hughes has been excellent alongside Cameron Munster and Brodie Croft, with their right-hand side firing on all cylinders. Meanwhile, Suliasi Vunivalu had his best performance in 12 months against the Raiders, and their forwards haven’t given the opposition a chance to breathe. While the Storm are likely to be in the top four again, defending premiers the Roosters aren’t going to be far away either, even if they only have played one good half of footy out of four. That one good half is enough to show they haven’t lost the talent they had last year though, with the club still putting defence ahead of the rest and letting their attack do the talking. They clocked in the second half against Manly in adverse weather at Brookvale, but they were in the hunt against Souths last week, and it’s pretty clear the World Club Challenge has left a mark on the club. That World Club Challenge and the extra intensity against them each week might stop them going the distance, but to see them miss the top four at this point would be a shock. Like the Eels, it’s a little difficult to get a read on the Tigers so far, but they look better than last year, at any rate. 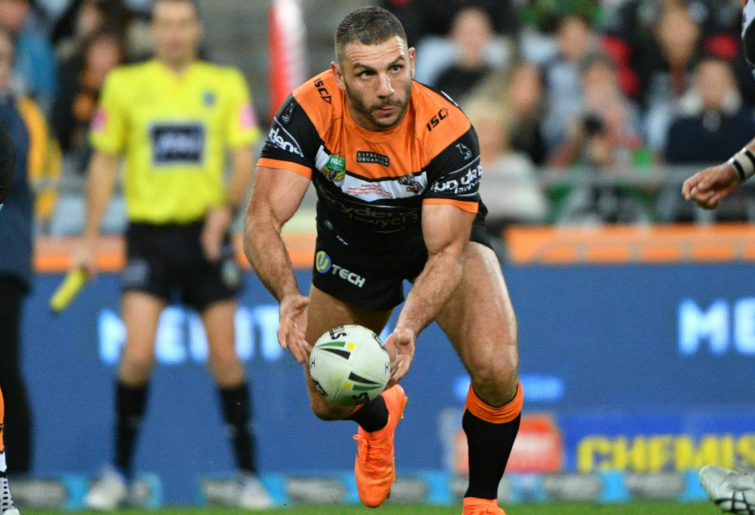 The Tigers were a little slow to start both of their games so far, but once the attack has clicked, it has looked crisp, with veterans Benji Marshall and Robbie Farah leading the charge. One of the key criticisms of the Tigers last year was their attack was awful during the first half of the year, despite some big wins over key premiership contenders. They went on to miss the top eight, and it was hardly a surprise. You can’t base your game solely on defence for 25 weeks, do a mountain of extra work, and hope to have any gas left for the final stretch for the finals as the big contenders hit peak form. While they have only played the Sea Eagles and Tigers in the first two weeks, their attack looks to have more structure and threat to it, with Maguire’s fitness regime also seemingly working a treat. They were strong in adverse conditions against a weakened Manly side before putting them away, and then came good against the Warriors to do similar. Being up for the fight in the final 20 minutes of the game is half the battle for the Tigers this year, but with veterans in key positions, they look better than last year, and have two wins to show for it. Roarers, what did you make of Round 2? Drop a comment and let us know.